In the eyes of a considerable section of the Left the Bolshevik seizure of power signalled the victory of socialist revolution leading to the establishment of socialism in Russia and setting the stage for a number of such seizures of power by the communist parties in the different parts of the world — China, Vietnam, Cuba, etc, though the latter events were considered not quite as socialist revolution, but as democratic revolution preparing the way towards socialism. Nevertheless, the regimes that ultimately resulted in all these lands have also been considered as socialist. In this paper we consider socialism in Russia following the Bolshevik victory as the prototype of socialisms that followed in other parts of the globe. Curiously, as regards these régimes there is a convergence of views between the Left and the Right (including the media). In the eyes of both, these regimes are socialist. How is this possible? This is possible because for both of them socialism means the same thing — a society ruled by a single party with ownership of the means of production predominantly by the state – signifying absence of private ownership (and a system of central planning). Of course, the Left looks at this ‘socialism’ positively while the Right views it negatively. Finally, the convergence here is completed in their common position that this ‘socialism’ originates in Marx. However, as we argue below, this socialism has nothing to do with what Marx envisages as socialism, as it appears in Marx’s own writings. Most of the readers of Marx’s works occupy themselves uniquely with Marx’s analysis of the capitalist system. They almost totally leave aside Marx’s vision of the society after capital. It is undoubtedly true that the bulk of Marx’s theoretical work concerns the critical analysis of the capitalist mode of production in order to “uncover” as he calls it in the ‘Preface’ to his Capital, “the economic law of motion of the modern society”, that is, capitalist society. Marx also stresses in the ‘Afterword’ to the same book that he is not “writing receipts for the cookshop of the future”. However, in his writings are scattered the elements of the building blocs of his vision of the society that he envisages as succeeding capitalism. This pervades even such a work as Capital — considered by many as ‘esoteric’. In one of his first reviews of this book Engels, clearly sensing that some eager revolutionaries might be disappointed with the book, after waiting for quite a long time to see here “finally revealed” the “secret true socialist doctrine” and “panacea”, warned its readers, there was no “one thousand year communist kingdom” awaiting them here. But “who has eyes to see, sees here, stated clearly enough, the demand for a social revolution”, where “it is a question of the abolition of capital itself”. Hence it is unfortunate that many readers of Marx neglect this side of his work. The point of departure for the discussion on socialism is Marx’s position that the capitalist system is not a natural, not an everlasting system any more than were the social systems like slavery and serfdom which preceded it. But what is socialism? What is a socialist revolution? 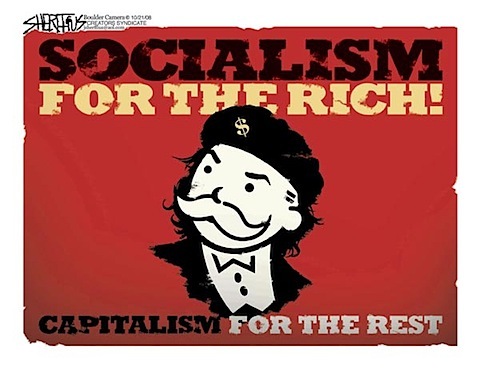 First, a word on the confusion about the term ‘socialism.’ There is a widespread idea that socialism and communism are two successive societies, that socialism is the transition to communism and hence precedes communism. Later in this essay we shall say more about the origin of this position and the consequences of its acceptance. For Marx this distinction is non-existent. 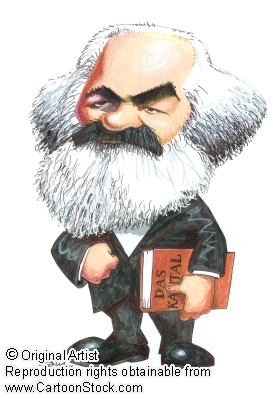 For Marx, socialism is neither the transition to communism, nor the lower phase of communism. It is communism tout court.In fact, Marx calls capitalism itself the ‘transitional point’ or ‘transitional phase’ to communism. For him socialism and communism are simply equivalent and alternative terms for the same society that he envisages for the post-capitalist epoch which he calls, in different texts, equivalently: communism, socialism, Republic of Labour, society of free and associated producers or simply Association, Cooperative Society, or (re)union of free individuals. Hence, what Marx says in one of his famous texts – Critique of the Gotha Programme (hereafter Gothacritique) – about the two stages of communism could as well apply to socialism undergoing the same two stages. Socialism or communism appears in two different senses in Marx (and Engels). First, as a theoretical expression: in this sense the term does not mean a state of things which should be established or an ideal to which reality should conform. It is rather the “real movement which abolishes the present state of things. The movement arises from today’s conditions”. Capitalist production…is a greater spendthrift than any other mode of production of man, of living labour, spendthrift not only of flesh and blood and muscles, but of brains and nerves. It is, in fact, at [the cost of] the greatest waste of individual development that the development of general men [general development of human beings] is secured in those epochs of history which prelude to [which presage] a socialist constitution of mankind. This text is repeated almost word for word in the ‘main manuscript’ for the third volume of Capital. Finally, in the course of correcting and improving the text of a book by a worker (Johann Most), meant for popularizing Capital, Marx inserted: “The capitalist mode of production is really a transitional form which by its own organism must lead to a higher, to a co-operative mode of production, to socialism”. The conditions for the rise of socialism are not given by nature. Socialism is a product of history. “Individuals build a new world from the historical acquisitions of their foundering world. They must themselves in course of their development first produce the material conditions of a new society, and no effort of spirit or will can free them from this destiny” (emphasis in original). It is capital which creates the material conditions and the subjective agents for transforming the present society into a society of free and associated producers. “The material and the spiritual conditions of the negation of wage labour and capital – themselves the negation of the earlier forms of unfree social production – are in turn the result of its [capital’s](own) process of production”. The material conditions are created by capital’s inherent tendency towards universal development of the productive forces and by the socialization of labour and production. As regards the subjective – ‘spiritual’ – condition, it is provided by capital’s “grave diggers” – the proletariat – begotten by capital itself. Even with the strongest will and greatest subjective effort, if the material conditions of production and the corresponding relations of circulation for a classless society do not exist in a latent form, “all attempts to explode the society would be Don Quixotism”. By a social revolution in general Marx means, as he emphasizes in a polemic (1844) with Ruge, that “every social revolution dissolves the old order of society”. Fifteen years later, in his celebrated ‘Preface’ to the Contribution to the Critique of Political Economy Marx elabourates the theme further. There he specifies that a social revolution signifies a change in the social relations of production constituting the economic foundation of society. And the fundamental cause of a social revolution is the insoluble contradiction between the productive forces of society and the existing relations of production. “From forms of development of the productive forces these relations turn into their fetters. Then begins an epoch of social revolution”. However, Marx warns that no social order perishes before having developed all the productive forces which it contains, and no new relations of production replacing the old appear “before the material conditions of their existence have matured in the womb of the old society itself”. Earlier, in his polemic with Proudhon (1847), Marx had called the working class ‘the greatest productive force’. Years later, in his polemic with Bakunin (1874-75), speaking of the proletarian/socialist revolution specifically, Marx wrote: “A radical social revolution is bound up with certain historical conditions of economic development. The latter are its preconditions. It is therefore only possible where, with capitalist development, the industrial proletariat occupies at least a significant position”. It must be stressed that capitalist relations are not revolutionized within capitalism automatically even with all the requisite material conditions prepared by capital itself. It is the working class which is the active agent for eliminating capital and building the socialist society; the proletarian revolution is thus an act of self-emancipation:“The emancipation of the working classes must be conquered by the working classes themselves”. Marx and Engels equally underline that “consciousness of the necessity of a profound revolution arises from the working class itself”. 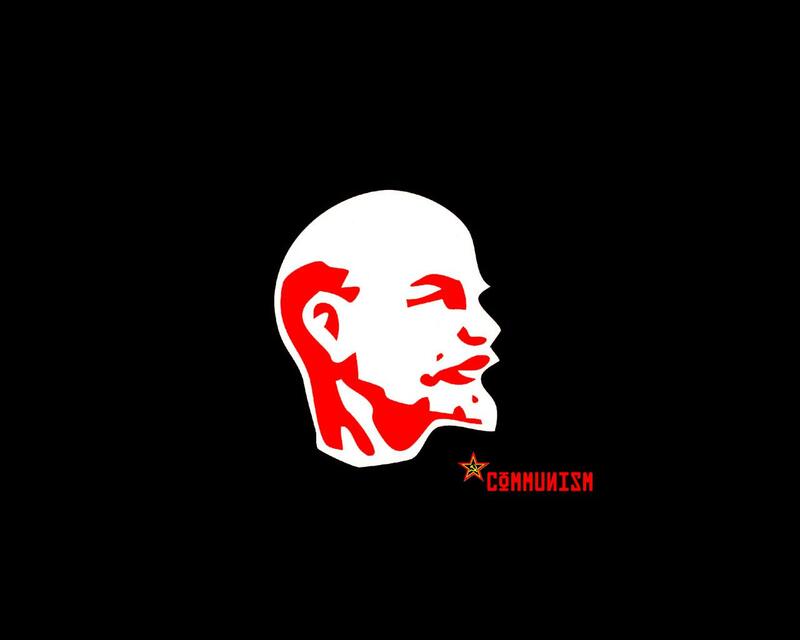 The starting point of the proletarian revolution is the conquest of political power by the proletariat – the rule of the “immense majority in the interest of the immense majority,” the “conquest of democracy”. 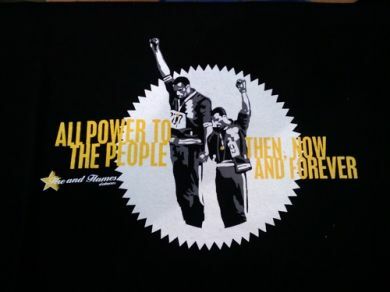 This so-called ‘seizure of power’ by the proletariat does not immediately signify the victory of the revolution; it is only the “first step in the worker revolution”, which continues through a prolonged “period of revolutionary transformation” required for superseding the bourgeois social order. Until capital totally disappears, the workers remain proletarians and the revolution continues, victorious though they are politically. “The superseding of the economical conditions of the slavery of labour by the conditions of free and associated labour can only be the progressive work of time,” and the “working class will have to pass through long struggles, through a series of historic processes transforming circumstances and men,” wrote Marx with reference to the victory of the 1871 Commune . Later he reminded Bakunin that even with the installation of proletarian rule “the classes and the old organization of society still do not disappear”. At the end of the process, with the disappearance of capital, the proletariat along with its “dictatorship” also disappears, leaving individuals as simple producers, and wage labour naturally vanishes. Classes disappear along with the state in its last form as proletarian power, and the society of free and associated producers – socialism – is inaugurated. In all hitherto existing societies – based on class rule – the community has stood as an independent power against individuals and has subjugated them. Thus it has really been a “false” or “illusory” or “apparent” community. 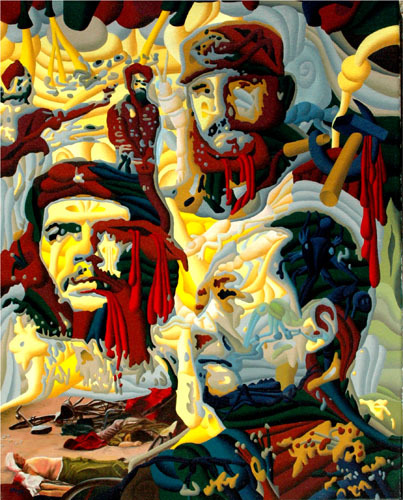 The outcome of the workers’ self-emancipatory revolution is the socialist society, an “associationof free individuals” – individuals neither personally dependent as in pre-capitalism nor objectively dependent as in capitalism – and there arises, for the first time, the “true” community where universally developed individuals dominate their own social relations . Correspondingly, the capitalist mode of production (CMP) yields place to the “associated mode of production” (AMP). With the disappearance of classes, there is also no state and hence no political power in the new society. We cited Marx above holding that with the victory of the proletarian revolution politics ceases to exist and socialism throws away its political cover. This 1844 position of Marx is repeated in his ‘Anti-Proudhon’ (The Poverty of Philosophy, 1847) and (with Engels) in the Communist Manifesto (1848). Following the same logic he and Engels affirm that the “organization of communism [socialism] is essentially economic”. Here, with the transformation of the social relations of production the property relations are also transformed. The appropriation of the conditions of production is no longer private; it is collective, social. Similarly, with the transformation of society’s production relations, its exchange relations – with nature as well as among individuals – are also transformed. Capital, driven by the logic of accumulation, seriously damages the environment and undermines the natural powers of the earth together with those of the human producer, the “twin fountains of all wealth”. In contrast, in the new society, freed from the mad drive for accumulation and with the unique goal of satisfying human needs, individuals rationally regulate their material exchanges with nature with the “least expenditure of force and carry on these exchanges in the conditions most worthy of and in fullest conformity with their human nature”  As regards the exchange relations among individuals, here the directly social character of production is presupposed and hence the commodity form of the products of labour and, therewith, exchange value ceases to exist. “Community” here is “posited before production”. From the very inception of the new society as it has just come out of the womb of capital – Marx’s first phase of socialism – “producers do not exchange their products and as little does labour employed on these products appear as value”. Finally, we come to the allocation/distribution of instruments of production – the material means of production and the living labour power – and the consequent distribution of products in the new society. The distribution of the instruments of production boils down really to the allocation of society’s total labour time (dead and living). This allocation, effected under capitalism through exchange taking value form, is contrariwise performed in socialism by direct and conscious control of society over its labour time. At the same time, in conformity with the nature of the new society, free time beyond the labour time required for satisfying material needs must be provided by society to the associated individuals for their “all-sided development”. Hence the “economy of time is the first economic law on the basis of communitarian production”. As regards the distribution of the total social product in socialism, it is first divided between the production needs and the consumption needs of society. Production needs here refer to needs of replacement and extension of society’s productive apparatus as well as insurance and reserve funds against uncertainty. Consumption is both collective – housing, healthcare, education, provision for those unable to work – and personal. The principle governing personal consumption remains that of commodity exchange: the quantity of labour given to society by the individual. However, the mediating ‘labour coupons’ have no exchange value. In fact, in commodity production there is a contradiction between “principle and practice”; equivalence is established “only on average,” since the individual share in total social labour is unknowable. Opposite is the case with socialism (emphasis in original). Similarly, in his famous discussion of the “association of free individuals” in Capital I, Marx posits that under “socialised labour, diametrically opposed to commodity production,” the mediating labour certificates are not money, they simply ascertain the share allocated to each labouring individual – “only for the sake of a parallel with commodity production” – according to the individual’s labour time. At the initial phase of the new society this principle of equivalence, in parallel with the principle under commodity production (hence called by Marx “bourgeois right”) but without having value form assumed by the product, cannot be avoided. This process is wholly overcome only at a higher phase of society when all the springs of co-operative wealth open up, leading to adoption of the principle “from each according to one’s ability, to each according to one’s needs”. First, a word on the theoretical categories underlying twentieth – century socialism. These categories were originally and principally shaped by Lenin. A close look at them shows a near complete revision – in Lenin’s precise sense of the term – of Marx’s own ideas. As regards the conditions for socialist revolution, Lenin advanced two important arguments for socialist revolution in Russia after the February uprising (1917). First, a few months before the seizure of power, he affirmed that as a result of the February revolution state power in Russia had passed into the hands of the bourgeoisie and the landlords turned bourgeois: “To this extent the bourgeois revolution is completed” (emphasis in original). Shortly afterwards he asserted, without any qualification this time, “the bourgeois revolution is already completed”. The second argument for a successful socialist revolution in backward Russia – already implicit in Lenin’s 1915 declaration on the possibility of socialist revolution outside Europe, given “unequal development of capitalism” – was explicitly made only a few months after the October seizure of power: it was easier for “the [socialist revolutionary] movement to start” in a backward capitalist country like Russia; “things had worked [out] differently from what Marx and Engels had expected”. 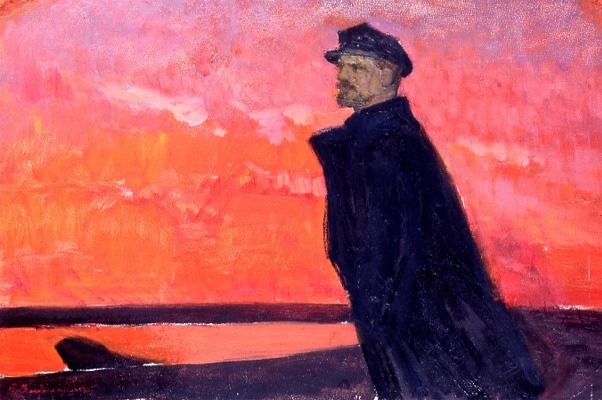 Both the arguments of Lenin in favor of socialist revolution in Russia in 1917 were a radical revision of the materialist conception of history. As regards the first argument, Lenin predicated the “completion” of the bourgeois democratic revolution simply on the basis of the passage to political power of the bourgeoisie independently of the question of any change in the social relations of production in Russia, whereas for Marx only a radical transformation of these relations, and not a mere change in political power, would signify “completion” of a social (including bourgeois) revolution. As to Lenin’s second argument mentioned above, the fundamental question is, even assuming the presence of the revolutionary class (the proletariat), whether it is possible to have a socialist revolution without the presence of adequate material conditions for inaugurating an “association of free individuals,” contrary to what Marx had stressed in his different texts including his latter day ‘Anti-Bakunin’ text given above. Theoretically not inconceivable, Marx’s thesis could only be refuted by the reality of a successful socialist revolution under Lenin’s conditions (see below). Apart from Lenin’s argument about the conditions of socialist revolution, his theoretical position on socialism itself is of enormous importance in view of its lasting effect on the way socialism was conceived and practiced by the regimes which followed worldwide after the Bolshevik victory, calling themselves ‘socialist’. Lenin distinguishes between socialism and communism, equating them, respectively, with Marx’s lower and higher phase of communism. He also speaks of two transitions, one from capitalism to socialism, another from socialism to communism. We already saw above that for Marx socialism and communism are equivalent terms. In this light one could also speak of a lower and a higher phase of socialism. The Leninist distinction in question, although apparently merely terminological and innocent looking had far-reaching consequences which were far from innocent and far from what Lenin himself presumably might have expected. It became a convenient instrument for legitimizing and justifying every oppressive act of the Party-States from 1917 onwards in the name of socialism, which, it was maintained, was only a transitional phase towards communism, thus shelving all the vital aspects of Marx’s immense emancipatory project, and metamorphosing Marx’s project of communism into an unalloyed utopia. Lenin speaks of socialism basically in juridical terms, not in terms of a complex of social relations of production. For him socialism is “social ownership” of the means of production which he further specifies as “ownership by the working class state”. Of course, Marx also speaks of the ownership of the means of production in the new society as “social” where society itself and not the state – which is absent from the new society – is the owner, but for Lenin it is the working class state which is the new owner. Here Lenin has successfully stood Marx on his head. For Marx socialism – even in Lenin’s revised sense of the first phase of communism – is already a classless society, a “union of free individuals” coming into existence after the working class along with the last form of state – the dictatorship of the proletariat – has vanished. The proletariat (wage labourers) have been transformed into simple producers as free individuals and it is their society (the collectivity of free individuals) – and not any state – which possesses the means of production. Lenin speaks not only of the working-class state but also of what he considers to be its equivalent, the “socialist state”. Needless to say, this last expression is nowhere to be found in Marx. Earlier we referred to Marx’s texts showing that there can be no state in socialism. Lenin tries to smuggle ‘state’ into Marx’s text of the Gothacritique by brazenly revising it. This he does by connecting two independent ideas in two analytically separate places of the text: Marx’s discussion of the continuation of ‘bourgeois right’ in the first phase of communism and Marx’s speculation about the future of the “present day functions of the state”. Lenin emphasizes the need for the existence of the “bourgeois state” to enforce “bourgeois right” in the first phase of the new society. His logic is baffling. For Marx this first phase is inaugurated after the disappearance of the proletarian rule – the last form of state. From Lenin’s position it follows that in the absence of the bourgeoisie (by assumption), the producers themselves – no longer proletarians – would have to recreate, not even their old state, but the bourgeois state to enforce bourgeois right. For Marx, from the start of the new society there are no classes and hence there is no state and, in fact, no political power. Whatever bourgeois right remains in the area of distribution does not require a particular political apparatus to enforce it. It is now society itself which is in charge. One can read this textually in Section I.3 of the Gothacritique. Similarly, for the first phase of communism (Lenin’s socialism) Lenin envisages the economy as one “state syndicate” or one “single factory” where “all citizens” are transformed into “hired employees of the state” with “equality of labour, equality of wages ” ( emphasis added). What a contrast with Marx who in his “Inaugural Address” (1864) had clearly distinguished between “hired labour” (of capitalism) and “associated labour” (of socialism)! For Marx what Lenin is talking about is simply the “state itself as capitalist,” when it produces “product as commodity”, in so far as it employs “wage labour”. What Lenin presents as socialism is really state capitalism which with a “single state syndicate” or a “single factory,” as Lenin puts it, will be – in Marx’s terms, as we find in Capital’s French version – the “total national capital constituting a single capital in the hands of a single capitalist”. Let us now try to see this socialism, the prototype for the twentieth century socialism, in reality. The problematic begins right at the start. There is no evidence that the accession to political power by the Bolsheviks signaled a proletarian or socialist revolution (or at least its beginning) in Russia in the sense of Marx, that is, a revolution which is the outcome of the “autonomous movement of the immense majority in the interest of the immense majority,” as the 1848 Manifesto affirms. The so-called October revolution was neither initiated nor led by the proletariat though the latter in its great majority actively supported, as followers and sympathizers of the party, its seizure of power. In October 1917, the fate of over 170 million people was decided uniquely by a handful of non-proletarian radicalized intelligentsia, outside the soviets and far removed from the site of the real process of production and exploitation, unelected and unrevocable by and totally unaccountable to the labouring people. Through the substitution of a whole class by a single party, power was seized under the slogan ‘all power to the soviets’ not from the Provisional Government but really from the soviets themselves, the authentic organs of labouring people’s self rule created by the self-emancipatory country-wide spontaneous popular uprising in February. This pre-emptive strike was perpetrated independently of and behind the back of the Congress of Soviets depriving it of the right of maternity regarding the founding act of the new order. Revealing in this regard is Lenin’s secret correspondence (September-October 1917) expressing to his comrades in the party leadership his utter distrust and disdain of the soviets: “To wait for the Congress [to meet] is complete idiocy and total treachery. The Congress will give nothing and can give nothing” (the latter expression emphasized in original). Undergoing a virtual radioactive decay, the soviets as independent self-governing organs of labourers evaporated as early as summer 1918. “’All power to the soviets’ appeared to be a reality on the 26th of October, 1917,” wrote an eminent historian, “but it was mostly power to the Bolsheviks in those soviets….The whole system of soviets and executive committees was reduced to an administrative and propaganda auxiliary of the party…Deprived of power in the soviets and in the factories, the Russian proletariat…found that the triumph of the dictatorship in its name was a very hollow victory.” The masses and the majority of soviets representing them certainly greeted the fall of the hated old regime, but refused to have a Bolshevik hegemony. Alexander Rabinowitch in his blow by blow account of the events has written that the delegates, arriving at Smolny on the eve of the meeting of the Second Congress of Soviets were asked to fill out a detailed personal questionnaire. Tabulation of these questionnaires reveals the striking fact that an overwhelming number of the delegates came with the mandate to supporting the transfer of “all power to the soviets”, that is creation of a soviet government “presumably reflective of the party composition of the congress”. Rabinowitch writes, “The mass mood was not specifically Bolshevik in the sense of reflecting a desire for a Bolshevik government. As the flood of post-Kornilov political resolutions revealed, Petrograd soldiers, sailors, and workers were attracted more than ever by the goal of creating a soviet government uniting all socialist elements. And in their eyes the Bolsheviks stood for soviet power – for soviet democracy” (our emphasis). There was also another important set of workers’ self governing organs created in workplaces before October 1917: factory committees with their own soviets. After having seized power from the Congress of Soviets, the Bolsheviks turned their eyes on the factory committees who were exercising workers’ democracy in their workplaces and asserting control over the management. The Bolsheviks now asked the trade unions where they had a majority to help them to subdue these self-governing organs of the workers. The trade unions obliged by simply annexing them as their lowest level. It should be clear that far from itself conquering political power as an act of self-emancipation (in Marx’s 1864 sense), the Russian proletariat participated in the seizure of power – effected in the name of the proletariat by a party completely substituting itself for the proletariat – only as followers. It must be underlined that by their pre-emptive strike against the soviets, the Bolsheviks successfully destroyed any possibility of the unfurling (bourgeois) democratic revolution, so magnificently started by the quasi-totality of the country’s labouring people in February 1917, from developing over time into a genuine proletarian revolution as a process of “revolution in permanence,” to use the 1850 “battle cry” of Marx and Engels. Before the seizure of power Lenin had stressed the need to destroy the old state apparatus and to replace it with a “commune-state” with freely elected and revocable officials, and the police and the standing army with the armed workers. Later he had to admit that the Bolsheviks “effectively took over the old apparatus of the tsar and the bourgeoisie”. Instead of officials being elected and subject to recall, there appeared bureaucrats, all party nominees and hierarchically organized from top downward. Similarly there appeared a special police apparatus, particularly the dreaded secret police, before the end of 1917. In the same way the ‘Red’ army was fashioned, beginning in early 1918, not very differently from the professional army of a class society with ex-tsarist officers in higher positions in increasing numbers. As regards industry, with the virtual liquidation of the self-managed factory committees, the principle of direction from above was imposed. Lenin now discovered that “the Russian is a bad worker in comparison with the worker of the advanced nations,” hence the workers must show “unquestioning obedience to the single will of the leaders of the labour process,…to the one-person decision of the soviet directors” (emphasis in text). One year later he added: “Till now we have not reached the stage where the labouring masses could participate in administration”. We thus see that the regime created by the October 1917 seizure of power had nothing socialist about it in Marx’s emancipatory meaning of the term. It was not even a rule of the proletariat. It was and remained a dictatorship of the (single) Party over the proletariat who remained alienated from political power and, separated from the means of production owned quasi-totally by the state, remained commodity producing simple wage–and–salaried labourers. Here we briefly mention an important point which is very much neglected. The rationale for the official claim — almost universally accepted — to have established in Russia (and later in other countries) socialism is that the public (basically state) ownership of the means of production had abolished private property in the means of production. 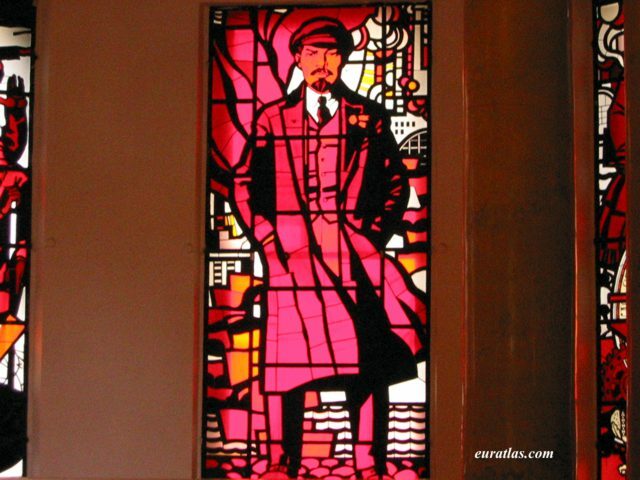 Indeed a basic character of a socialist society is the abolition of private property in the means of production. Now, private property in question here is what Lenin in his brochure State and Revolution had called private property, that is “property of separate individuals” (curiously the word ‘separate’, in Russian otdelnyi, appearing in the original is absent in the Moscow translation). As a juridical category it is as old as the Roman law, taken over by the bourgeois jurisprudence. But strictly speaking this concept of private property is pre-Marxian. Apart from Marx’s development of this concept — in harmony with capital’s own development following the expanding demand for accumulation, such as share capital – into what he called “directly social capital in opposition to private capital”, Marx developed another concept far more significant, unrecognized by bourgeois (or any other) law. In this second sense the fact of non-ownership or separation of the great majority of people from the means of production with labour power as a commodity is a sufficient condition of the existence of private property. In other words, the existence of wage-salaried- labour guaranties the existence of private property in the means of production. Marx calls this “class property” or “private property of a part of society”. The development is notably found in the Communist Manifesto, early 1860s economic manuscripts and “The Civil War in France”. Hence given the continuing wage labour character of these ‘socialist’ regimes, their spokespersons and their international sympathisers cannot claim that these regimes had no private property in the means of production. Incidentally, this pre-Marxian (basically bourgeois) view of private property as the standard conception of private property, and its juridical abolition as equivalent to socialism, originally derived from Lenin, was accepted by all the quarrelling factions of the Bolshevik party. (Stalin as well as Trotsky, for example, had this in common in spite of their political antagonism). Let us conclude this essay by recalling the problem raised at the beginning of our discussion — the relevance of Marx to twentieth century socialism. This alleged Marx-connection involves two basic issues. First, since Marx is supposed to be the progenitor of this kind of socialism, its quasi-disappearance shows the failure of Marx’s ideas in this regard. Similarly, from a somewhat different point of view, given the horrible reality of this socialism in relation to the human individual, Marx’s socialism is clearly demonstrated to be inherently repressive. The second issue is quite different. It involves Marx’s prognostication of the rise of socialism in the advanced capitalist societies after their disappearance caused by their own internal contradictions. As, demonstrably, capitalism continues to exist in the advanced capitalist countries through all its ups and downs, and as socialism palpably arose, against Marx’s prognostication, in societies marked by the dominance of pre-capitalism or backward capitalism, Marx’s vision has simply proved to be wrong. Now, we have argued above that the existential socialism has nothing in common with the socialism as envisaged by Marx, that is, a society of free and associated individuals. There is a simple answer here based on Marx’s materialist conception of history (often inexactly called ‘historical materialism’): the absence of the material and the subjective conditions for the advent of a society of free and associated individuals. As regards the relatively backward regions, socially and economically, this should be clear. As to the societies of advanced capitalism, it seems, it has not yet exhausted all the possibilities of its creative potential. Particularly — and this is the most important consideration — the ‘greatest productive force’ — to use Marx’s term for the working class — has not yet come to a point where its great majority can no longer accept the system confronting them and are prepared to revolt, though the necessary process might be on the way. When Lenin declared the possibility and the reality of socialist revolution and the consequent rise of socialism in a backward society he had to admit that this was not foreseen by Marx and Engels. But, then, Marx and Engels also did not (and could not) imagine that in their name their disciples would create a society with the continuing existence of state, commodity production and wage labour with the workers alienated from both political and economic power — the basic enslaving characteristics of the old class society — and call it socialist. Uncritically accepting the Leninist claim of the reality of socialist revolution in a backward Russia some of the most knowledgeable and open minded western scholars such as Carr, Deutscher, Sweezy opined that with the proletarian revolution occurring in such a backward country as Russia the “Marxist scheme of revolution broke down”, which showed “an error of prognostication in the original Marxist scheme” and that contrary to what Marx and Engels had thought the “revolutions that put socialism on history’s agenda took place in countries where capitalism was still in early stages”. 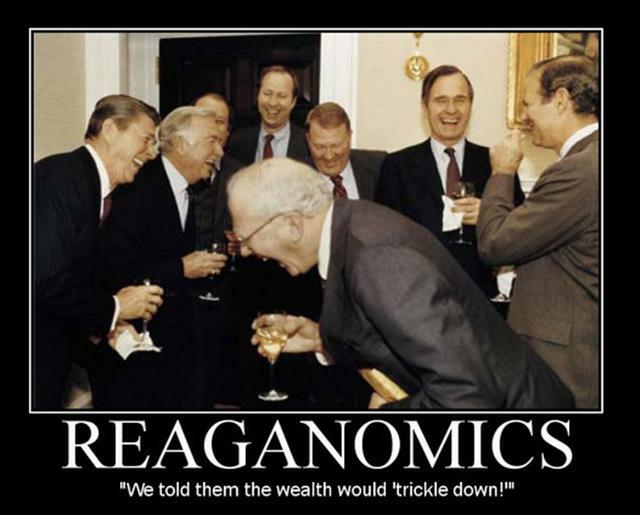 One can imagine Marx greeting these folks with his proverbial Homeric laughter. 1 Marx 1953, p. 438; 1978, p. 428. 2 Marx and Engels, 1973a, p. 35. 3 Engels 1972, p. 339. 4 Marx and Engels 1970, pp. 46-47. 5 Marx 1975, p. 420. 6 Marx 1976, pp. 324-327. 8 Marx in Most, 1989, p. 783. 9 Marx 1972, p. 339. 10 Marx 1953, p. 635. 11 Marx 1953, p. 77. 12 Marx 1975, p. 420. 13 Marx 1970, p. 180. 14 Marx 1970, p. 180. 15 Marx 1973, p. 630. 16 Marx 1964, p. 288. 17 Marx and Engels 1973, p. 69. 18 Marx and Engels 1970, p. 45, 52. 19 Marx and Engels, 1970, p. 52. 20 Marx in Marx and Engels 1970, p. 327. 21 Marx 1971, pp. 76, 156-57. 23 Marx 1953, p. 593; 1954, p. 83. 25 Marx 1954, p. 475. 26 Marx 1984, p. 820. 27 Marx 1980, p. 113. 28 Marx 1970, p. 319. 29 Marx 1953, p. 89. 30 Marx 1970, p. 319. 31 Marx 1954, p. 83, 97. 33 Lenin 1975, p. 37. 34 Lenin 1975, p. 68. 35 Lenin 1970, p. 664. 36 Lenin 1975, pp. 506, 507. 37 Lenin 1975, pp. 60, 306-07, 310; 1971, p. 600. 38 Lenin 1975, pp. 305, 306, 660; 1971, pp. 760, 761, 763. 39 Lenin 1971, 760, 761, 763. 40 Lenin 1971, p. 763. 41 Lenin 1975, pp. 306, 307. 42 Lenin 1975, pp. 310-11,312. 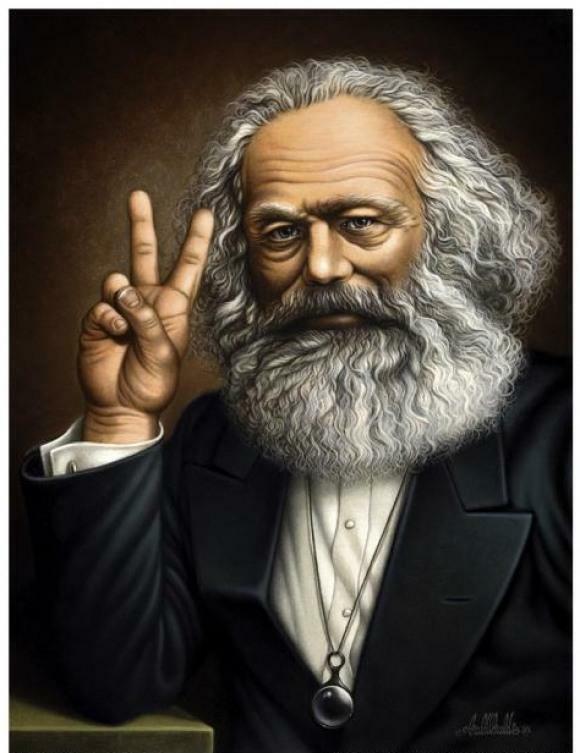 43 See Marx, Capital II, chapter on “Circuit of Commodity Capital”, and his last theoretical work (1880), “Marginal Notes on Adolph Wagner’s Textbook”. 44 Marx 1965, p. 1139. 45 Marx and Engels 1970, p. 45. 46 Lenin 1975, pp. 348, 349. 47 Daniels 1967, pp. 223-24. 48 Rabinowitch 2004, pp. 139, 167, 291-92. 49 Ferro 1980, p. 20. 50 Bunian and Fisher 1934, p. 635. 51 Lenin’s illusion that his Social Democratic Party was seemingly axiomatically a workers’ party is seen clearly affirmed by the statement in his 1904 work “One Step Forward Two Steps Back”: “We are the party of a class, and therefore almost the whole class should (or must, meaning the same thing, dolzhen in Russian, given in the original text ) act under the leadership of our party.” At that period Lenin’s Party was basically a party of the radicalized intelligentsia, with an infinite minority — if at all — of workers. See Lenin 1970, p. 319. 53 Lenin 1975, pp. 603, 622. Bunyan, J. and Fisher, H. 1934. The Bolshevik Revolution 1917-1918, Documents and Materials. London: Humphrey Milford. Carr, E.H. 1964. The Bolshevik Revolution, vol. 1. London:Macmillan. Daniels, R.V. 1967. The Red October. New York: Charles Scribner. Deutscher, I. 1960. Russia in Transition. New York: Grove Press. Engels, F. 1972 (1847). “The Communists and Karl Heinzen” (in German). 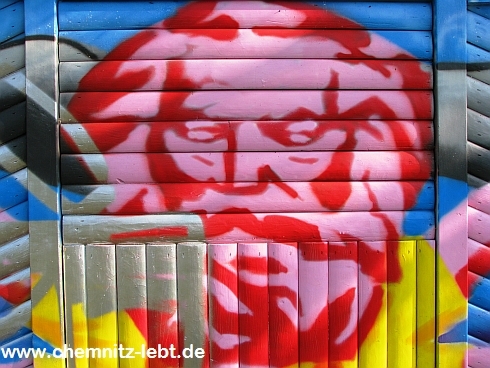 In Marx-Engels Works (in German , hereafter MEW) vol.4: Berlin: Dietz Verlag. Ferro, M. 1980. From Soviets to Communism Bureaucratic (in French). Paris: Gallimard. Marx, K. 1953 (1857-58), Foundations of the Critic of Political Economy (in German). Berlin: Dietz Verlag. Marx, K.1954 (1867, 1873). Capital vol.1 Moscow: Progress. Marx, K. 1964 (1864). “General Council of the First International Minutes”. Moscow: Foreign Languages Publishing House. Marx, K. 1965 (1875). Capital (in French) vol.1: Paris: Gallimard. Marx, K. 1970. Manifesto of the Communist Party (1848), ‘Preface’ to the Contribution to the Critique of Political Economy (1859), Critique of the Gotha Programme(1875), all in Marx-Engels Selected Works (in one volume). Moscow: Progress. Marx, K. (1871).The Civil War in France in Karl Marx and Friedrich Engels. 1971, On the Paris Commune. Moscow: Progress. Marx, K. 1972 (1847). “Moralising Criticism and Critical Morality” (in German), MEW vol.4. Berlin: Dietz Verlag. Marx, K. 1973(1874-75). Conspectus of Bakunin’s Book ‘Stateism and Anarchy’, (in German). MEW vol. 18. Berlin: Dietz Verlag. Marx, K. 1975(1844). “Crtical Notes on the Article ‘The King of Prussia and Social Reform, by a Prussian’.” In Early Writings. New York: Vintage Books. Marx, K. 1976 (1861-63). 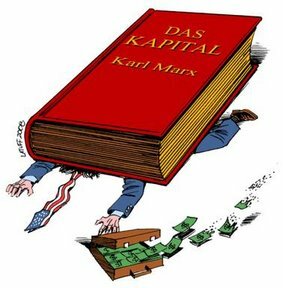 Contribution to the Critique of Political Economy (Manuscript 1861-63) Marx-Engels Complete Works (MEGA) (in German) II/3.1.Berlin: Dietz Verlag. Marx, K. 1978 (1861-63). Theories of Surplus Value vol.3.Moscow: Progress. Marx, K. 1980 (1858-1861). Economic Manuscripts and Writings (in German) MEGA II/2. Berlin: Dietz Verlag. Marx, K. 1984 (1894). Capital vol.3. Moscow: Progress. Marx, K. 1989 (1876) in Johann, Most. Capital and Labour (in German) MEGA II/8. Marx, K and Engels, F. 1973 (1845-46). German Ideology (in German), MEW vol3. Berlin: Dietz Verlag. Rabinowitch, A. 2004. The Bolsheviks Come to Power. Chicago: Haymarket. Sweezy, P. 1993. “Socialism, Legacy and Renewal” in Monthly Review, January. The writer is an economist and adjoint professor of political economy at the French speaking University of Québec in Montreal. He wrote The Marxian Concept of Capital and the Soviet Experience, and is currently working on Socialism and Commodity Production. He has also contributed the lead theoretical essay “Marx and Engels on Communism” for the multi-part Oxford Handbook of Communism (OUP) to be published before the end of this year.